Jack Dempsey on the importance of "Following the Process"
Today we have access to many high level Taijiquan masters, but how does that help the Western student trying to replicate the skills they exhibit? I’ve always believed that to simply copy what these masters do is not enough - to just follow what they are doing today may not bring the results we hope for, instead – WE MUST FOLLOW THE PROCESSES THEY WENT THROUGH!!! Perhaps the main advantage Chen Village students have is that they get to see people at all stages development. Gross movement is mastered before subtle details are filled in. “In your heyday as champion, you can't "see the forest for the trees." As an historian might express it, you're too close to your career to get the proper perspective of highlights and background. It was only after I had retired and had begun trying to teach others how to fight that I investigated the steps in my stairway-analyzed my own technique. And that was a tough job. You see: by the time a fellow becomes a successful professional fighter, nearly all his moves are so instinctive, through long practice, that it's difficult for him to sort out the details of each move. Accordingly, it's nearly impossible-at first-for him to explain his moves to a beginner. He can say to the beginner, "You throw a straight right like this." Then he can shoot a straight right at a punching bag. But the beginner will have no more conception of how to punch with the right than he had before. That's the chief reason why so few good fighters developed into good instructors. They failed to go back and examine each little link in each boxing move. They tried to give their pupils the chains without the links. When I began breaking down my moves for the purpose of instruction, I found it most helpful to swing my memory clear back to the days when I was a kid at Manassa, a small town in southern Colorado. I was fortunate as a kid. My older brothers, Bernie and Johnny, were professional fighters. They had begun teaching me self-defense by the time I was six years old. In my break-down, I tried to recall exact details of the first fundamentals my brothers taught me. I jotted down every detail of those instructions I could remember, and every detail that dawned on me while I was practicing those early fundamentals. Jack Dempsey - "Absorb instructions, pointers and theories"
Then I moved mentally across the Great Divide to Montrose, Colorado, the town where I spent my latter youth. There was more interest in fighting in Montrose than in any place of its size I've ever known. It was a town of would-be fighters. In some Montrose families there were four or five brothers who wanted to be fighters. I found plenty of kid sparmates there and plenty of instructors- some good, some bad. My investigation of technique took me on a long mental journey as I followed my fighting trail through the West, where I had worked at any job I could get in mines, lumber camps, hash-houses, on ranches, etc. I was fighting on the side in those days, and I was getting pointers on self defense from all the old-timers I met. Each trainer, each manager, each fighter had his own ideas and his own specialities. Like a blotter on legs,I absorbed all that information in those days, and then discarded what seemed wrong. Swinging back through Memory Lane, I found myself, at twenty-one, making my first trip to New York, where I fought Andre Anderson, "Wild Bert" Kenny and John Lester Johnson, who cracked two of my ribs. Although that New York trip was a disappointment, I received much valuable fighting information from top-flight heavies like Frank Moran, Bill Brennan, Billy Miske and Gunboat Smith, when each dropped into Grupp's Gymnasium. And I recalled the details of my later post-graduate courses in fighting from Doc Kearns and Trainer Deforest, one of the best instructors in the world. Deforest's career went clear back to the days of Peter Jackson and London prize-ring rules. That geographic investigation of my own technique really humbled me. It hit me right on the chin with the booming fact that since I was six years old, I'd had the opportunity to learn punching from a long parade of guys who had studied it. I had absorbed their instructions, their pointers, their theories, in Manassa, Montrose, Provo, Ogden, Salt Lake City, Goldfield, Tonopah, New York, San Francisco, Chicago, St. Paul, and many other cities-before I met Willard at Toledo. And let me emphasize that in the days when I was drinking in all that information, the fighters, trainers and managers knew much more about punching than they generally know today. 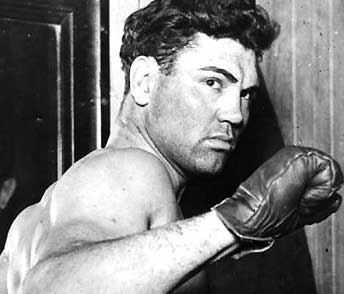 You must remember that when I fought Willard in 1919, it was only twenty-seven years after Jim Corbett had beaten John L. Sullivan at New Orleans in the first championship fight with big gloves. While I was coming up, the technique of the old masters was still fresh in the minds of the fighting men. Now, it is over thirty years since the day I fought Willard. During those years fighting became "big business"; but in the scramble for money in the cauliflower patch, the punching technique of the old masters-Sullivan, Corbett, Bob Fitzsimmons, Tommy Ryan, Joe Gans, Terry McGovern, and others- seems to have been forgotten”. Back to Taijiquan - If we want high level skills we need to examine what is appropriate at each stage of our development. Is it really necessary for a beginner to stand for extended times and do the beginners in Chenjiagou do this? Are you really at the correct stage to begin push hands training? Would it not be more beneficial to refine the forms you already know than to collect another one? When you are practicing the form are you laying down correct fundamentals and then building upon them at the appropriate time. Don't just copy blindly. To paraphrase Jack Dempsey - "LIKE A BLOTTER ON LEGS, ABSORB ALL THE INFORMATION AND THEN APPLY WHAT IS USEFUL!!! I've just got back to the UK after a couple of weeks' training in Poland with Chen Ziqiang, one of the best of the young teachers from Chenjiagou. While we were there we heard the sad news of the passing of Grandmaster Feng Zhiqiang, a renowned disciple of Chen Fake. It really brought home the value of the art that we practise. Generations of masters have passed the baton of real Chen Taijiquan skill for the best part of four centuries. It is important for all of us who teach the system to remember that we are no more than links in a chain that connects us back to Chen Wangting and forward to future generations of practitioners. I met Feng Zhiqiang about eight years ago in Beijing and found him to be warm and welcoming. His great Taijiquan skill is well known, but perhaps most illuminating was the way he treated the ordinary people in the local neighbourhood. On the way from the small apartment he shared with his wife to go to lunch at a nearby restaurant we got into the lift with Master Feng when he started to chat with the lift operator. She was a simple looking young woman whom he obviously knew well. Master Feng took an apple from his pocket and gave it to the woman. She took it, thanked him and went to put it in her pocket. With a stern voice but with a twinkle in his eyes he scolded her and insisted that she ate the apple there and then which, after some persuasion, she did. Afterwards he explained to us that she was poor and always put her family's needs before her own. If he did not make her eat the apple she was sure to give it to some one else and do without herself! Master Feng spoke of the importance of treating both "important" and ordinary people the same. That he was kind to the ordinary people around him, the lift operator and later a street cleaner we met on the way to the restaurant shows the quality the great man possessed, and not just in his taijiquan skill. The heart and spirit void and quiet from start to end. Use the mind to move qi. The heart is the commander. Start with sink and drop. Search for soft and smooth. The inside/outside and upper/lower should work together. The transition of yin/yang will help you find hard/soft. The silk reeling force should be present through the body. Search for open/close by folding the chest and abdomen. Concentrate on the dantian to improve neigong (internal force). Keep your heart calm, mind quiet, and practise slowly (stillness in movement). The form is like a moving standing pole (huo zhuang). You will be successful if you know both how to practise and how to nurture yourself (yang sheng). With the sadness of Master Feng's passing still lingering, the training with Chen Ziqiang resumed. I guess this is how it has always been. From Chen Wangting, through the pantheon of great masters, some heralded, others forgotten, the art will survive as long as there are people who really value it. Thus the legacy continues.